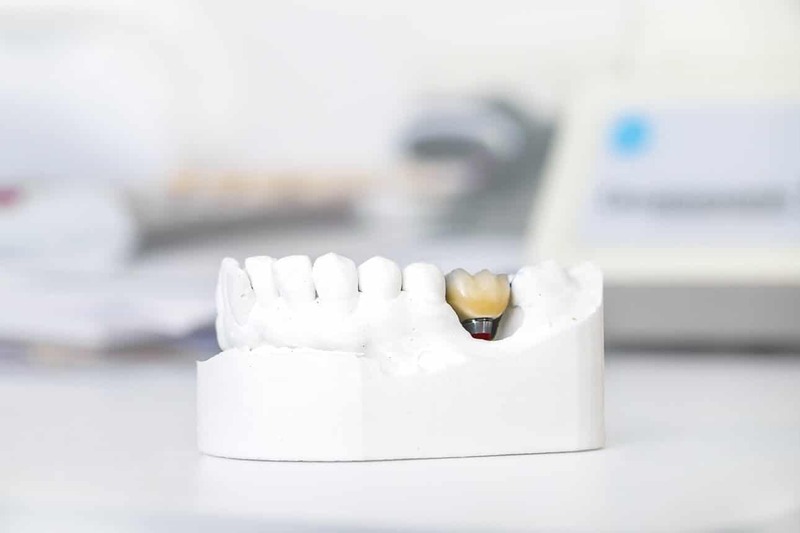 Performing Plate dental implants (Plate) serves as a creative solution in cases there the lower jawbone is isn’t thick enough or in more extreme cases, when it is missing and there is no possibility to perform a normal Dental Implant procedure. In a case where there is lower jawbone deficiency why is there a problem performing dental implants? The lower jawbone serves as the bone source on which our natural teeth are connected, which is why it is used as the most natural surface to anchor dental implants to the jaw. As oppose to the elegant Zygomatic Dental Implant solution, used for upper jaw deficiency, and are connected to the Zygoma bone located in the cheek, here we don’t have another bone to connect dental implants to. So what can be done in these situations? The Dentist can perform a “completion” of the jawbone in a variety of techniques, a full scale surgical procedure that requires a recuperation period before the dental implant takes place. He could perform a designated treatment of moving the nerve that goes through the bottom of the jaw, anchoring the dental implants into the nerve canal and returning the nerve to its place. He could use designated dental implants, that helps to avoid any additional surgical procedures that enables implanting the teeth in the same day. Basal Implants – Dental Implants that are not screwed. Basal implants is a method of using designated implants that are called Basal Or more commonly called – Plate implants. These implants, as opposed to regular ones aren’t shaped in a screw like form, rather they are attached to a flat plate or to several flat plates. These plates allow Dentists to attach them not from above pointing towards the bottom jaw, but rather attached to the sides of the gums, allowing to perform the implantation. In order to ensure the new dental’s system’s stability, Basal implants aren’t able to stand alone, they must be combined with regular dental implants. When regular implants are anchored into areas with sufficient thick jawbone that allows it (usually in the frontal section of the jaw) and Basal implants are connected to areas of the jaw where the bone is sparse or is non existent. In many cases, Basal dental implants are also used when there is bone deficiency in the upper jaw, combined with regular dental implants and long Zygoma implants, which allows patients to avoid having to go through clumsy and lengthy surgical procedures. Dr. Balan, who has accumulated vast experience in Basal dental implantation in hundreds of cases of lower jawbone deficiency, enables many patients today that in the past were refused treatment by other dental clinics, to receive a new dental system, which is both stable and functional, in just one day.